Hi everyone! Hope you’re all having a great weekend. I’ve been to Paris a couple of times before and it always makes an impression – the architecture, the cafes, the desserts and lots more! There is so much to see here that you definitely need a full week if you want to take everything in but, having said that, you can certainly get a feel for the place over a couple of days. 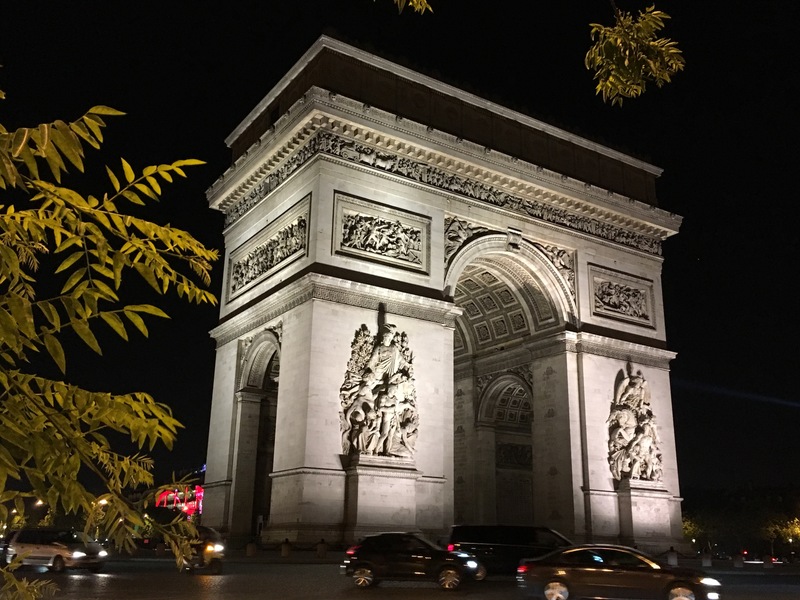 On my first night, I explored the local area near my hotel and the Arc de Triomphe. 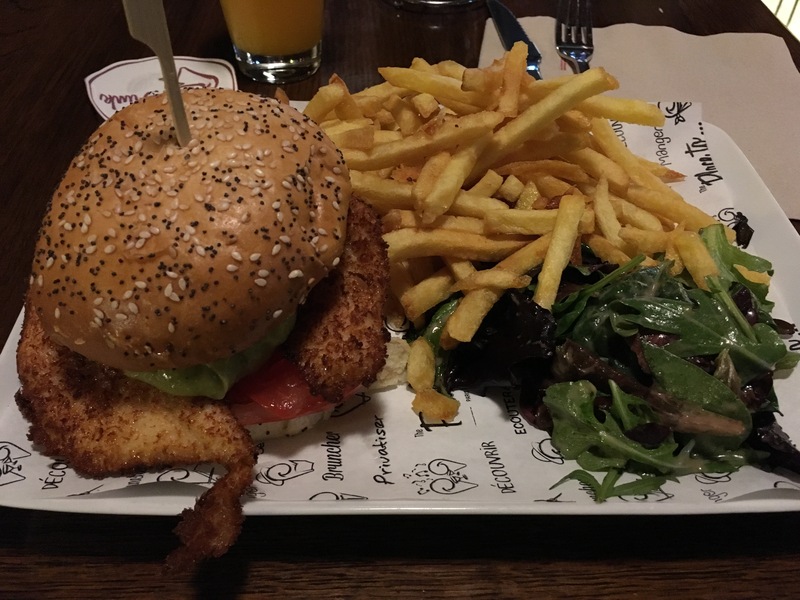 I had dinner at a place called ‘The Place to‘ which had a great selection of comfort food ranging from bagels and burgers to steaks. 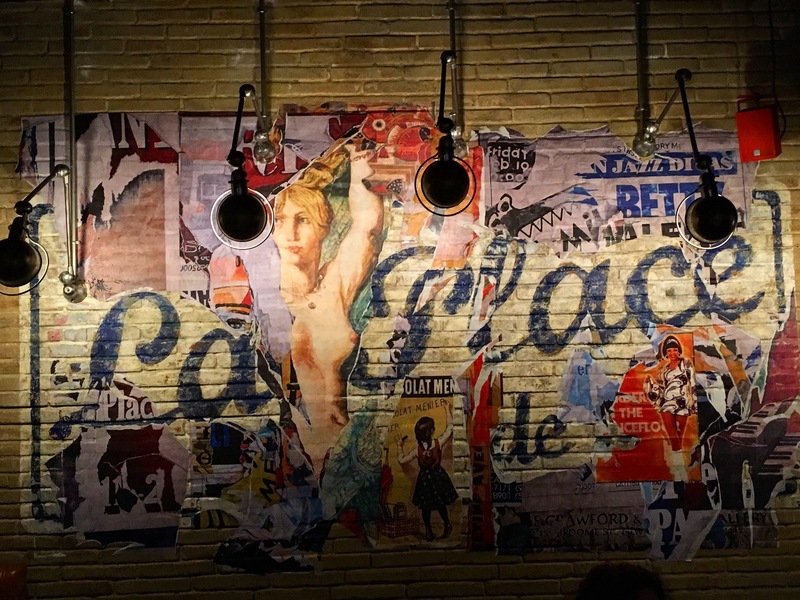 The décor is eclectic with rustic walls and clever artwork. Then back to work at the hotel to prepare for the next day! Burger time at ‘The Place to’! Friday morning on way to work! After work, I decided to explore. 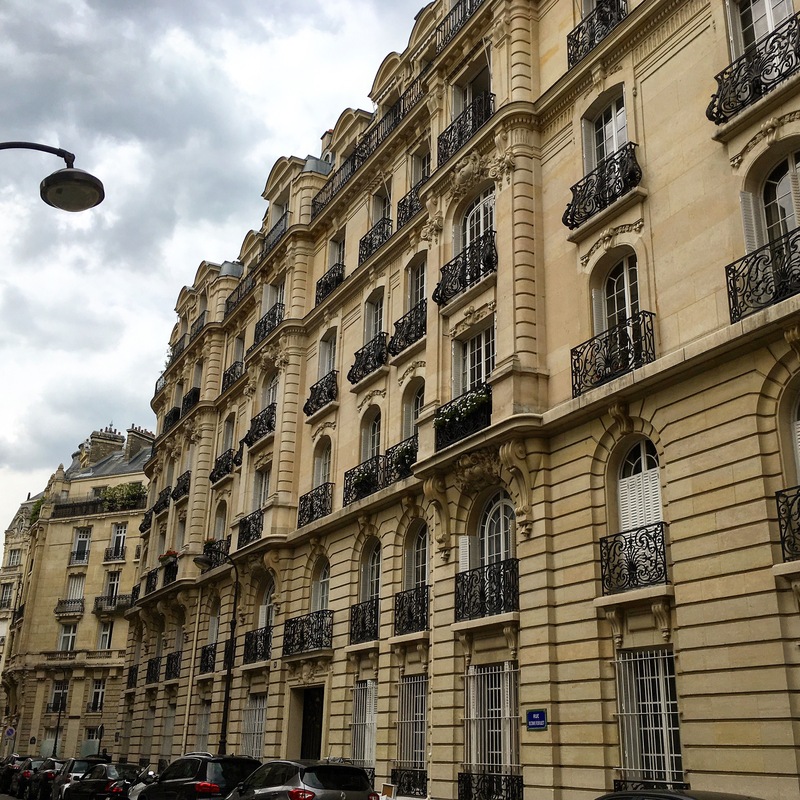 I changed to a hotel near the Saint Germain Des Pres area which felt like the heart of Paris as I saw a lot more locals. I walked to the Luxembourg Gardens which was a quiet oasis. It had exotic palm trees and quiet, leafy broadwalks. Definitely recommend visiting this park and spending an hour or so exploring and relaxing. Another great find was the Promenade Plantee – if any of you have been to New York, you will have definitely heard of the High Line except you may not know that Paris did it first! This is a little out of the way, towards the Bastille area so I would only recommend going if you have enough time and the weather is good of course! Promenade Plantee is basically a walk along a disused rail track that has now been turned into a garden. You get great views of Parisian buildings along the way. The next couple of days were work free – on Saturday morning, I decided to go to Montmartre. It’s the one place I hadn’t yet been to and I definitely wasn’t disappointed. Montmartre is picture perfect and everything you expect Paris to be. I’m not surprised that so many artists chose this place as home! You might be thinking it’s slightly creepy that I went to this cemetery and you’d be right 😛 except it has the graves of so many famous artists including Degas so I couldn’t not pay my respects. While exploring, it started to rain so I decided to pop in to the Montmartre Museum. It holds paintings by artists that lived and worked in the area, including Toulouse Lautrec. 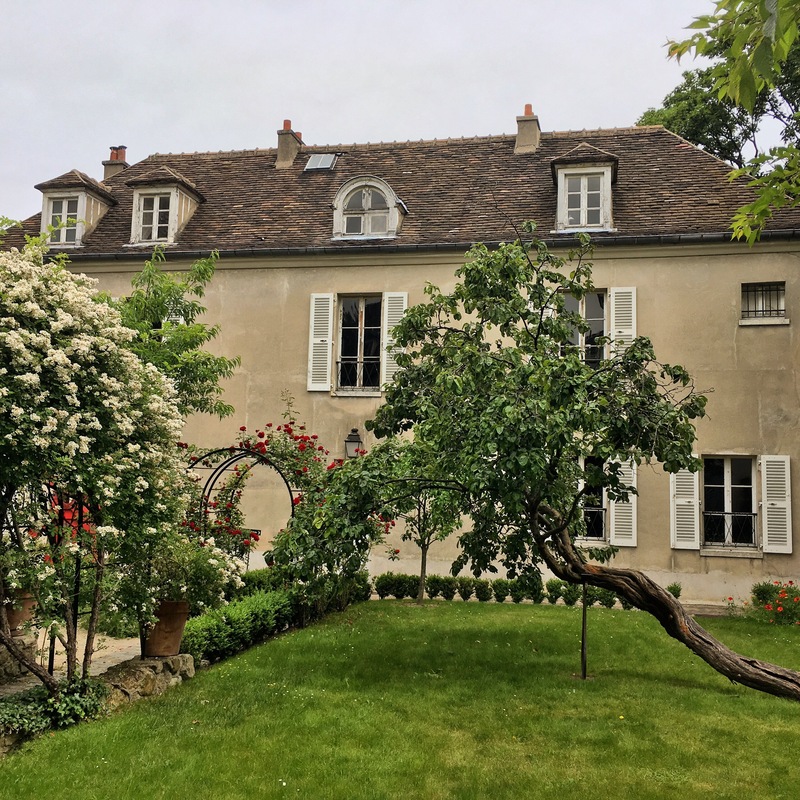 It’s also based in a big townhouse, the oldest in Montmartre, with great City views and beautiful gardens. I would highly recommend this museum if you’re in the area. After Montmartre, I headed to the Tuileries gardens near the Louvre. There are lots of chairs around the gardens for people to sit back and relax and, if you need some excitement, there are plenty of shops and restaurants nearby. I popped in to Angelina Cafe for a cup of coffee and a french pastry – they are so good! It is extremely popular so try to avoid the obvious times i.e. around lunch, tea or dinner! I went around 3pm and it was fine but there was a huge queue when I left around 4.30pm. The day ended with a walk along the Seine and seeing the Eiffel Tower light up and change colours. The Eiffel Tower has a mini light show i.e. it twinkles for about 5 minutes every hour or at least that’s what I was told. The timings are still a mystery – you just have to show up and hope that it happens while you’re there. I waited for nearly 2 hours! On my last day (Sunday), I headed to Notre Dame. It has the most amazing architecture both from the inside and out. I then headed to the Museum d’Orsay (the building used to be an old train station) which houses a great collection of impressionist art. I could’ve spent the whole day there. Ended up back at Angelina to take some goodies home! After picking up some treats from Delices des France and Angelina, I headed to my hotel to pick up my bags and dash to the station. My trip was short and fleeting but I loved every bit of it! Buy a pack of metro tickets ‘un carnet‘ for around 14 euros – it has 10 tickets that can be used on both the metro as well as the bus system, at a discounted price. Download the CityMapper app on your phone – it is a life saver and tells you exactly how to get from A to B with a variety of different routes! If you plan to go shopping, don’t leave it till a Sunday as most shops are closed! Spend a morning/afternoon in Montmartre, take the funicular up to Sacre Coeur. Grab a crepe from one of the many vendors nearby and sit on the steps of Sacre Coeur, taking in the views. Visit the Montmartre Museum and walk down to the Pigalle district which is an extreme version of Soho! Get a photo in front of the Wall of Love. Explore the Saint Germaine Des Pres area, with it’s many cafes and boutiques. Walk to Notre Dame and the Luxembourg Gardens. Visit the Museum d’Orsay or the Louvre (though you will need more time for the Louvre), walk through the Tuileries – pop in to Angelina Cafe for some indulgence. Visit the Eiffel Tower in the evening to catch the light show. Walk along Avenue Montaigne for some luxury shopping (or windows shopping!) and then head to the Arc de Triomphe via the Champs Elysees- ‘The Place to be’ is nearby! 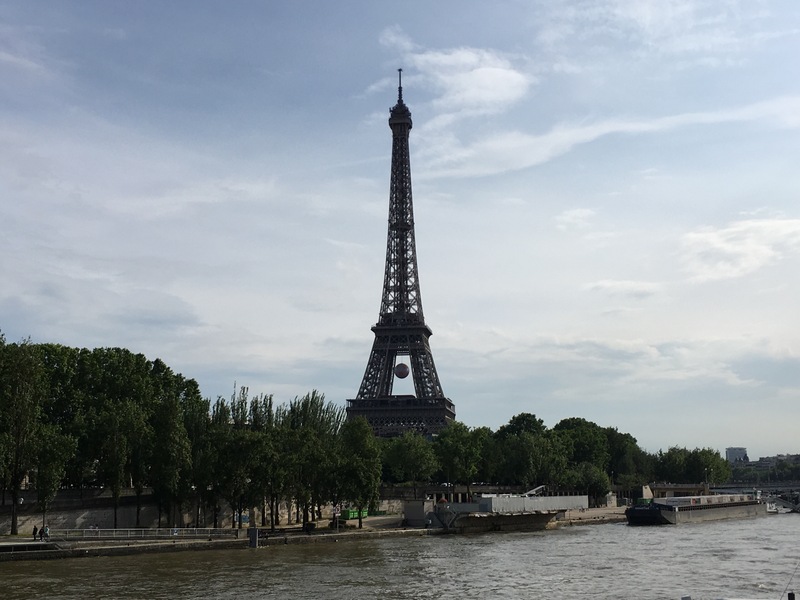 Hope you found this post helpful – what are your favourite places in Paris? Oh wow! Your pictures are lovely. Part of me had slightly written off Paris as a place I needed to visit, but I think I might need to reconsider. Thank you, so nice to hear that! It is a lovely city and so much to do. I think I was surprised myself!